I have an event i'm organizing and would like to ask, as the first question, how many participants are they signing up for (be it family members, group or friends). I would then like the same number of fields for name, age, etc (a group of mandatory questions) to appear based on the number indicated in the first question. That should be possible by setting up preset fields and displaying them based on the number of participants entered. You will use conditional logic on this, I would also suggest using the form collapse tool to organize your group of fields. 3. Here's an example form: https://form.jotform.com/61162073800950. 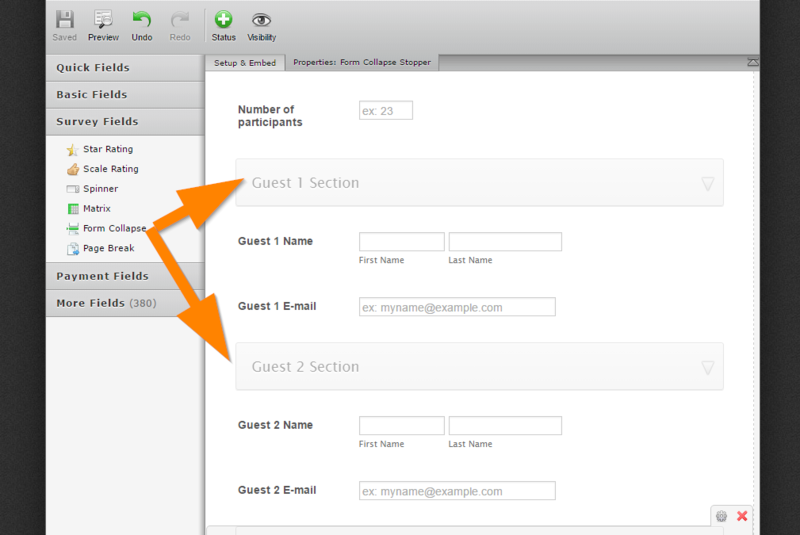 SHOW "Guest 1 Section" AND "Guest 2 Section". 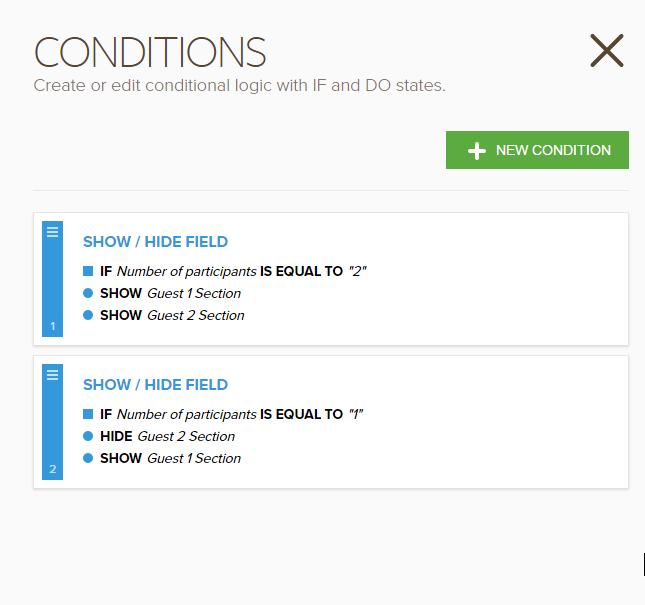 SHOW "Guest 1 Section" AND HIDE "Guest 2 Section". Repeat the same logic depending on the maximum number of participants you have.